Oklahoma City Thunder superstar Russell Westbrook is without question one of the best players in the NBA. The 6’3 point guard can do it all, filling up the stat sheet on a nightly basis, while playing the game with an incredible level of intensity. The LA area native stands as one of the world’s most interesting athletes, both on and off the court. Here are 14 things you may not have known about the perennial NBA All-Star. 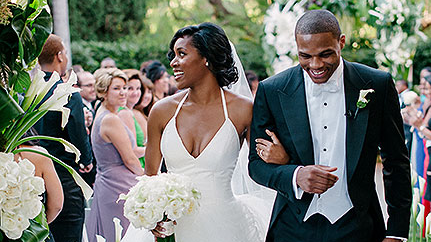 Westbrook and Nina Earl married in 2015, with the ceremony and reception taking place at the Beverly Hills Hotel. Kevin Durant, James Harden, Serge Ibaka and Kevin Love were among the attendees. R&B singer Miguel performed at the affair.